This past weekend went by way too fast and this week is shaping up to be crazy busy. I’m thankful to have my monthly girls group dinner on Wednesday at least. It’ll be a needed break from the work-work-work grind I’m looking at for all the other hours of the days. So let’s keep it short today and get right to the good stuff – the food! 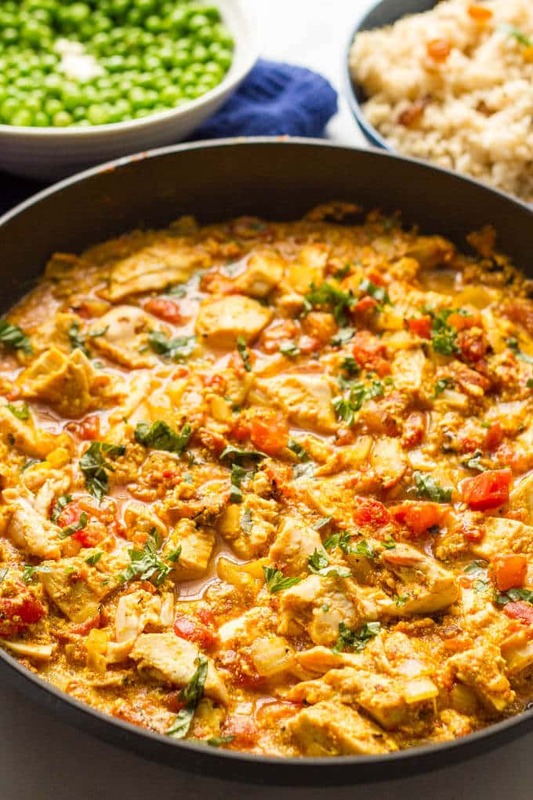 You want to know my only note when I wrote this quick chicken curry recipe down last year so I would remember to post it on this here blog sometime? I was a bit surprised, honestly. Can’t say I blame him. It’s one of my favorite cuisines too. But you know me, it’s gotta be easy. And fast. 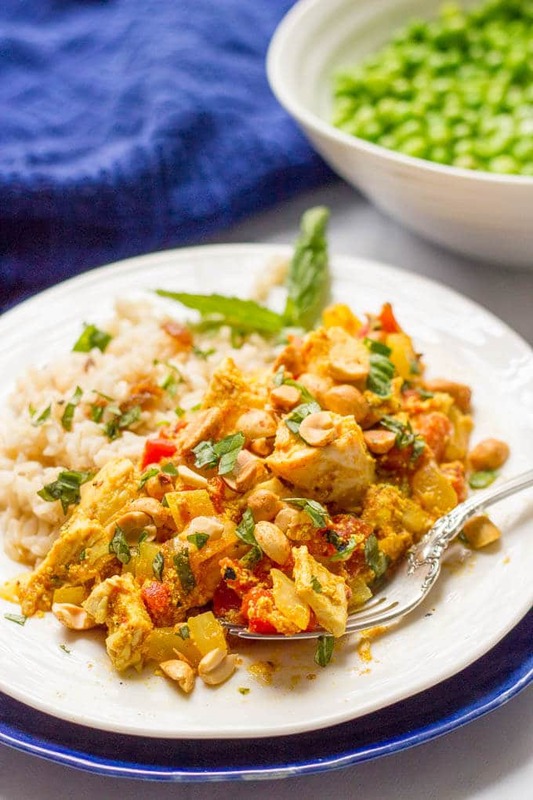 And this quick chicken curry absolutely is. I mean, it’s ready in 15 minutes, friends. But let me just say – this is not exactly traditional and maybe not super authentic. White rice or basmati rice would work well, too. 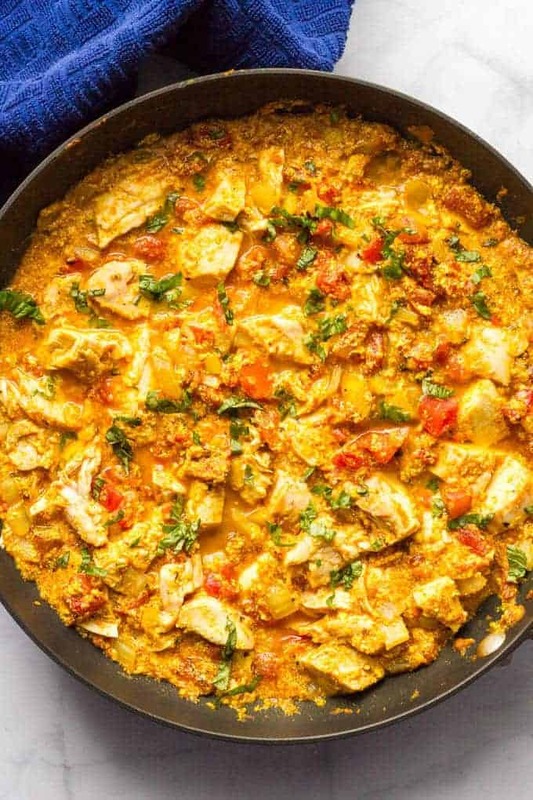 The fresh chopped parsley or cilantro on top of the curry chicken is key, too. Gives a hit of freshness and brightness. I also like sprinkling on some chopped peanuts when serving this up. They give it a good crunch and add some richness too. For a veggie side, I typically just warm up some frozen peas, stir in a pat of butter and season them with salt and pepper. Deliciousness all around! Steamed broccoli or a side salad would work, too. 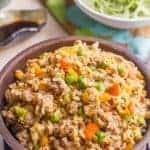 If you’re going low-carb, or just want more veggies, you could also serve this over some cauliflower rice. 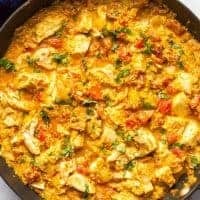 I hope you’ll give this quick chicken curry a try the next time you’re craving Indian for dinner but are short on time. 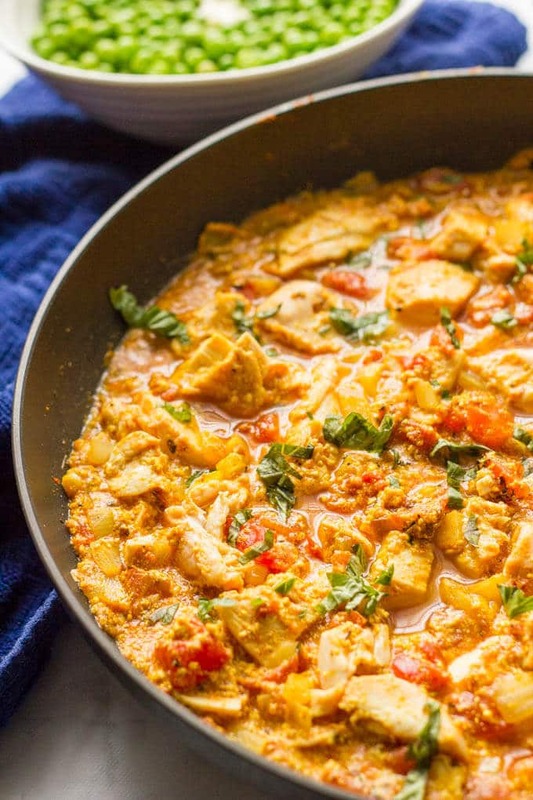 Quick chicken curry is an easy, one-pan recipe that’s ready in just 15 minutes! Stir in curry powder, diced tomatoes, Greek yogurt and milk (see notes). Season with salt, pepper and cayenne, if using. Bring to a low simmer and cook for 2-3 minutes, until slightly thickened. Stir in chicken until warmed through, 1-2 minutes. Serve hot with fresh chopped parsley or cilantro and chopped peanuts. Some readers have had an issue with curdling. Milk and yogurt can curdle if it heats too quickly, or if it comes to a boil. You may want to lower your heat or briefly remove the pan from the stove when you add these ingredients to help prevent curdling. 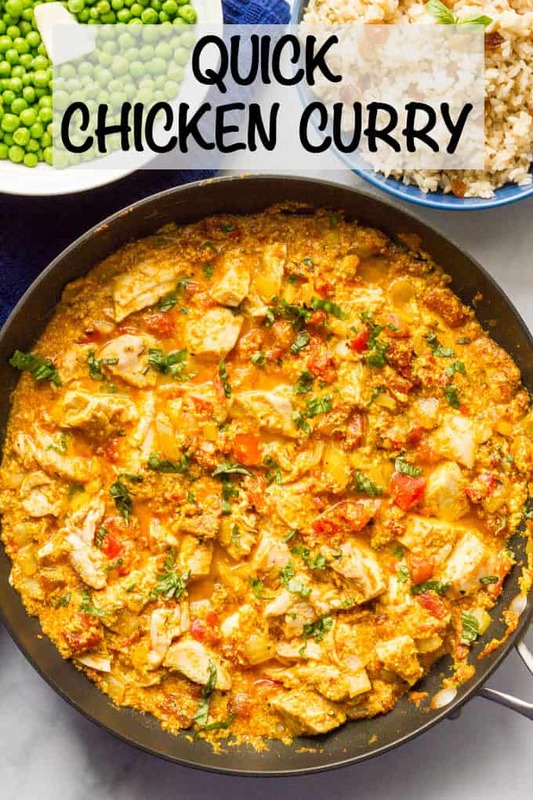 I have never made chicken curry of any kind, so I am going to give this a whirl! Happy Monday! You will LOVE it Kate! Have a great week! Can I use flavoured yoghurt if I do not have plain yoghurt in the house? Hi, I wouldn’t recommend that, as flavored yogurts would add sugar/sweetness as well as the flavor of the yogurt to the dish. You could substitute sour cream though. Lol! Well if that one note doesn’t say it all, I don’t know what does! 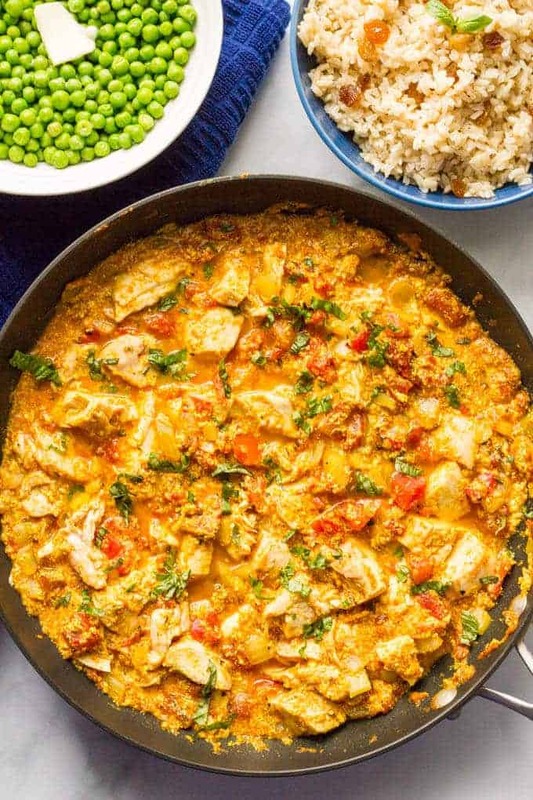 😉 This quick chicken curry looks every bit of ‘freaking delicious’, girlfriend! Plus I’m loving how easy it is! AND it’s your hubs favorite? Hot dayum, I NEED to eat me some of this!! Can’t wait to give it a try!! Pinned! Cheers, Kathryn! Not super helpful in terms of leaving myself notes, but then again, it did say it all 😉 Have a great week Cheyanne! I love curry! This looks so easy and delicious! Thanks Kelli! I hope you give this a try! Could you substitute cococonut milk for whole milk ? Absolutely, I think that would work fine! Thanks so much Maria! I hope you do try it and I’d love to hear what you think! Hello. Happy to find you and your week night dinner suggestion! Thank you and have a nice day ! Such a flavorful recipe! Quick recipes are time savers. Yes! Such a help when life is crazy! I just made this recipe, super easy, simple and loved the combinations of flavors!!!! Will make it again soon. Thanks! this recipe is a staple at home now, always a huge success. last night I served it with lots of fresh cilantro, chopped cashews and quinoa; I loved the combination. I love chicken curry!!! Awesome recipe. My first attempt at anything Indian, and tastes delish. Mine ‘curdled’ slightly, however. What did I do wrong? Hi Lisa! I’m so glad to hear you enjoyed it! Milk can curdle if it heats too quickly, or if it comes to a boil. 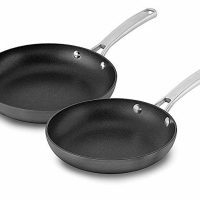 Even if you didn’t boil it, though, a hot pan or heat that’s slightly too high, could do it. You can try lowering your heat next time before you add the milk and yogurt to the pan. Hope that helps! This recipe was great! I ended up doubling it for my community of 7 and we even had leftovers. I thought that the flavors were well developed even with the small amount of time. Like some others said, the curry slightly curdled when I added the milk and yogurt, but it cooked out after some time. Thanks! Hi Amber! Yogurt and/or milk can curdle if the heat is too high or it comes to a boil. It may cook out though if you leave it on low heat for a little while. 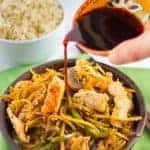 This dish should be saucy – that’s why I love it with rice, to soak up some of the yummy juices – but shouldn’t seem overly watery. I hope that helps! This was excellent! This was my first time having a dish with curry in it and my husband and I both loved it! I’m so happy to hear you enjoyed it Lauren! Thanks so much for sharing! So happy to hear that Bruce! Do you happen to know what the serving size is? I am making this tonight and can’t wait!! 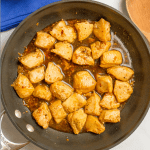 This recipe makes 4 servings and I just divide it out evenly among the plates – it’s probably about 1 cup or so per person of the chicken and sauce and everything. Hope that helps and hope you enjoy it! My family LOVED this recipe! My first time making a curry and it was definitely a home run! Thank you Kathryn!! This was actually super tasty. I’m so glad you enjoyed it Rebecca! Hi! I have never ever made curry.. or even know what it is really! Lol.. but my friend loves it. So I thought I would try it. Are we able to use sour cream instead of the Greek yogurt? Or would that give it the wrong taste? And I need to buy the curry seasoning… is it spicey? Thanks! Hi Jenny! 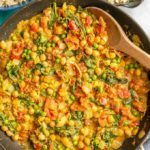 While this is definitely not a super authentic curry, I think it’s a great introductory one – and a super easy one too! Yes, you should be just fine to substitute sour cream in place of the Greek yogurt. 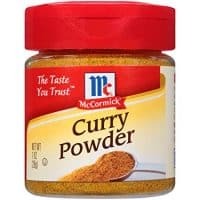 Curry seasoning is a blend of sweet and savory spices and most grocery store versions are pretty mild, not spicy, so you should be OK. I hope you and your friend love this dish! This was very good! I didn’t have leftover chicken, so I cooked some chicken tenders first. The curry sauce came together quickly, then I tore apart the chicken tenders and added them. The only issue I had was the yogurt curdled. It was still good but next time I’ll remove the pan from heat (stove was set to medium) when adding the yogurt and lower the stove temp to low before putting the pan back on the stove for a few minutes to heat the dish at the end. I’ve also read that stirring a little starch into the yogurt before adding it to a hot dish will prevent the yogurt from splitting. I’m so glad you liked it Christina! That’s a good idea about moving the pan off the heat or trying the starch trick – thanks for sharing! As there are several comments regarding the curdling of the yogurt and milk, may I suggest you mention that in your directions for making this recipe. I just made this recipe and it did indeed curdle and I should know better as this has happened to me before in other recipes. I think if it was written right in the directions it would help me and others remember to be mindful of the temperature before adding the dairy. I will save this recipe to my files but hope you can add the note on curdling. Thanks so much. Thanks so much for the feedback Tammy! I’m happy to include a note in the recipe card about this. Had an issue with the yogurt curdling. Besides that it tasted good. I’m glad you enjoyed it! I’ve added a note to the recipe about lowering the heat or moving the pan off the burner before adding the milk and yogurt, to try and help prevent curdling. Hope that helps! Hi, I’ve never used pork for this recipe, but would love to hear if you try it! Hi Kathryn, I’d like to try this dish but, like many others, I am lactose intolerant. Is there an alternative to the dairy in this dish? Hi Ray! You can substitute full-fat coconut milk in place of the Greek yogurt and a non-dairy milk in place of the milk to make this dairy-free. 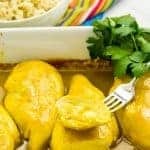 (Or try my 20-minute coconut chicken curry – https://www.familyfoodonthetable.com/20-minute-coconut-chicken-curry/) I hope that helps! I’m sorry you had a problem Dana. 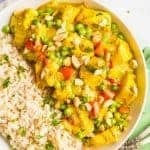 I’ve never had this curry curdle on me but there are some tips in the post and recipe about how to reduce that chance. Or, as you say, you could try it without the yogurt.